Tis’ the season – for we have many things to be thankful for this year! With the holiday season quickly approaching, we are taking the time to reflect on all of our blessings. Common dishes for most Traditional American Thanksgivings include turkey, cranberry sauce, stuffing, green bean casseroles, fresh baked rolls, and pumpkin pie. Most of us look forward to this holiday all year, for it is a time to be thankful and gather with loved ones. 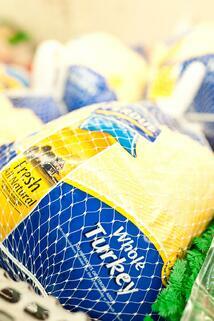 Turkey processors themselves have to really work all year to meet this spike in demand around the holidays. Innovation in new packaging technology allows these processors to be able to serve a fresh Turkey that has a longer shelf life without chemicals. Pfannenberg’s thermal management and chiller products are a perfect fit for aiding in the packaging side of Turkey processing. Vacuum packaging is the most popular form of packing and food preservation for full turkeys. The process reduces the amount of oxygen from the package by utilizing a vacuum and completely sealing it, removing the extra oxygen to prevent contamination. The removal of oxygen allows the product to have a longer shelf-life. The packaging material protects the meat from the passage of various gases and outside moisture. When it comes to the vacuum packing machines they operate at very high speeds, processing many turkeys in a short amount of time. It's critical that the control enclosure electronics do not overheat. 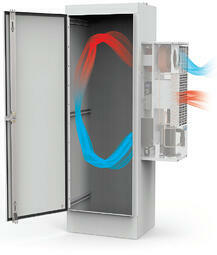 Proper cabinet temperature control is essential to keeping production on schedule. To keep these electrical enclosures cool, the processing facility has several options. If using traditional enclosure air conditioners (cooling units) then our washdown NEMA Type 4/4x DTS 3000 Series Cooling Units would be a good solution. For a more economical and maintenance free solution our stainless steel PWS Air to Water Heat Exchangers could be used with existing water lines or a Pfannenberg Packaged Chiller. These both would be perfect options to protect the electronics and drives that are so important to keep everything online and running. Besides the electronics in the electrical panel, the motors (servo motors) need a chiller to maintain the co ol liquids running through the machines. Pfannenberg’s CC Series Chillers are ideal for quick setup and trouble free operation. Packaged and ready-to-use, Pfannenberg’s chillers require piping and power to install a solution for process cooling applications. 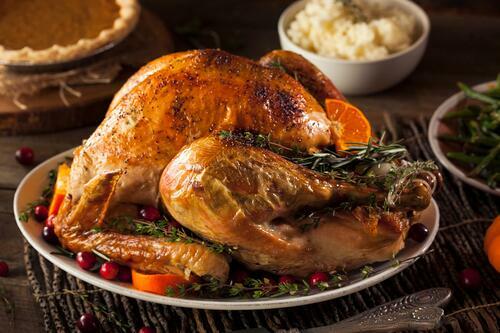 Pfannenberg's enclosure cooling solutions and chillers aid in meeting the high demands of poultry processing equipment during the peak season helping to ensure there is not a turkey shortage on the biggest turkey day of the year! Be sure to follow our NEW Food and Beverage LinkedIn Showcase Page!